Todd Lane fourth and fifth graders represented themselves very well this year at the annual Beaver County Math 24 competition. The contest was held on March 7 at Penn State Beaver bringing together schools from across Beaver County. Todd Lane students won five of a possible eight trophies, with fourth grade sweeping first through fourth place. 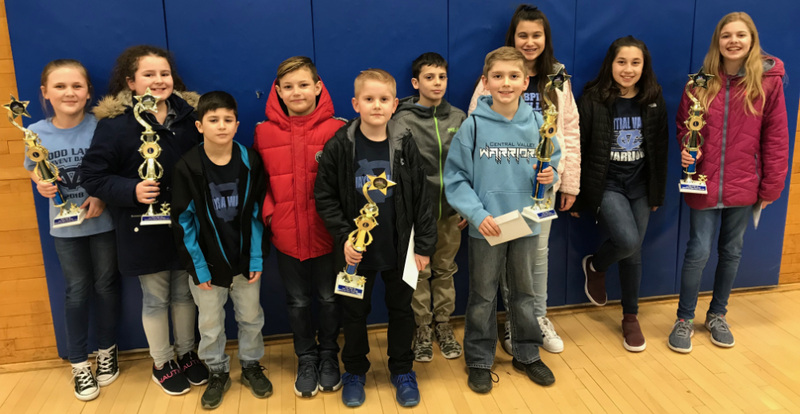 Team members for fourth grade included Luke McLean (first place), Riley Pucevich (second place), Caprie Schaeffer (third place), Italia Cercone (fourth place), Renzo Sylvester (fourth highest points in round one), and Angelo Boni (sixth highest points in round one). Team members for fifth grade included Aubrey Grater (third place), Olivia Taylor (2018 champion), Gabby Galatis, and Antonio Boni.